PRADCO works with nearly 150 safety force agencies to help them hire the right people, develop key contributors, and retain the best performers. We’ve recently talked about implicit bias in law enforcement and today we want to cover one of the questions we get asked most by our safety force clients. How do you motivate this generation of professionals? Millennials are defined by Merriam-Webster as people born in the 1980s or 1990s. However, if you ask people that manage Millennials, you’ll likely get some additional descriptors. The generation is most often known for connectedness with technology, a need for flexibility, and a desire to be part of something bigger than themselves. In today’s post I hope to provide some insight into how you can keep these individuals feeling engaged. As any leader will tell you, to properly motivate you must first understand what is important to someone. We will review general motivators for Millennials, and then cover what that might look like in the context of safety forces. Finally, we are speaking in broad terms, but do keep in mind that each Millennial is their own individual and that the term Millennial incorporates a large section of the working population. The youngest Millennials are around 20 years old, while the oldest are nearing 40. There is no “one-size-fits-all” option, but this can be a good place to start. Flexibility – A 2015 report from the U.S. Chamber of Commerce showed that 3 out of 4 Millennials determined work-life balance to be a primary driver for their career choices. In short, more than any generation before them, Millennials value time. This is often misconstrued as Millennials wanting to work less when in reality it reflects a desire for more control over the “when” and the “how” their responsibilities are accomplished. The Safety Force Perspective – This can be a challenging hurdle for safety force employers as there may be additional restrictions that impact scheduling and necessary coverage that are out of their control. One option we’ve seen gain traction is a transition to 12 hour shifts, as this seems to allow for additional flexibility or, at the very least, more days off. A less popular but effective approach is reconsidering how much weight seniority should have when choosing things like days off and shift assignment. We encourage departments to leverage a more performance-based approach for these perks and to implement them slowly over time. The Safety Force Perspective – While it may be funding dependent, there is no shortage of technology that can be leveraged by safety force professionals to be more impactful. Be open to innovative tools and avoid falling into the “but we’ve always done it this way” trap. Beyond this, make it a point to value and leverage the experience of those individuals who were raised in the world of social media. Whether it be to aid in investigations to build a better relationship with the community, take the time to identify those individuals that are especially suited to the task. They are likely Millennials who will appreciate having these skills be valued instead of looked down upon. Purpose – In a recent survey of 1,363 Millennials it was found that 68% want to make a positive difference in the world, 81% believe their organization should have a genuine purpose, and 78% think that their employer’s values should reflect their own. More and more employees are making career decisions based on how they feel their organization is impacting the world. The Safety Force Perspective – This is an area where safety force employers are at a distinct advantage. 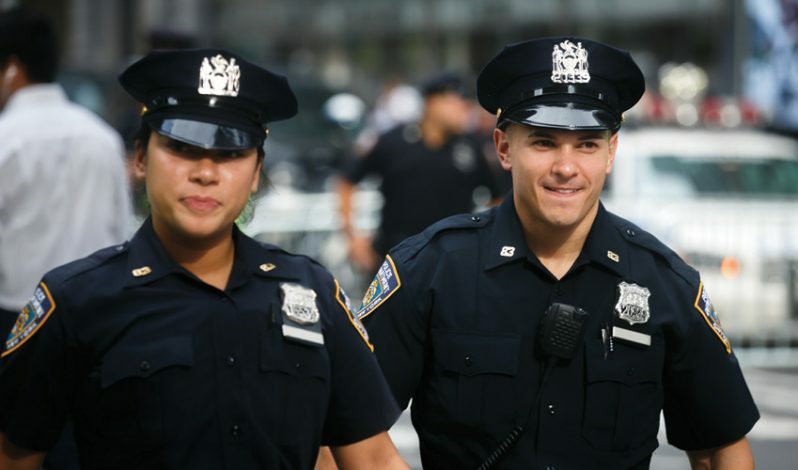 The impact that Police and Fire have on communities is clearly positive and can be leveraged to create compelling opportunities for Millennials. Work hard to create a culture of positive change whether it be related to crime prevention, community relations, emergency response times or other areas. Show Millennial employees that they are part of the solution and avoid falling into the trap of underselling the impact they can make. In the end Millennials have more in common with your other employees than you might think. Where possible, sit down with them in a one-on-one setting to talk through their values and what motivates them. Pay attention to the cues that they provide and recognize that regardless of generation, each person will have unique drivers that can be leveraged to keep them fully engaged. For a broader look at personal motivation and accountability, be sure to check out this article by Kathy Sullivan, PRADCO’s Director of Organizational Development. Kaleb Embaugh is a Management Consultant at PRADCO.